José 'Slap' Fernández Going 7-4 with a 1.62 ERA and 161 K in 121 IP with Niigata (AAA), Fernández appears ready for the big leagues. The lefty SP was the 3rd overall selection in the 2023 Amateur Draft and is ranked as the #4 prospect in the PEBA. Per manager Shinichi Seki he will get his feet wet in the bullpen but is destined for the starting rotation. RF Tomás Martínez The 16th overall pick in 2022 Martínez has picked it up a notch this year at Niigata, batting .305 with 9 HR and is ranked as the #5 prospect in the PEBA. He also got the ticket to Neo-Tokyo and will immediately be inserted in the starting lineup. "He's a guy that needs to play everyday to be at his best. We're not bringing him here to ride the pine", affirmed Seki. The team also promoted 28 year old 1B Chuck Glass to replace the ailing Koshiro Nakashima, who was placed on the 15 day disabled list. Glass was batting .261 with 19 HR and 69 RBI in 82 G with Niigata. To make room for the new additions OF Bob Blanchard (.222/69 K) was optioned to AAA and RP Akihito Matsuo (5.92 ERA/1.60 WHIP) was designated for assignment. NT also has free agent signee P Jorge Jiménez coming off suspension and getting a look in Triple A. He lead the WIL in wins and WHIP last season. Masaru Kouki (9-3/ 3.37 ERA) is also itching for a shot at the big leagues. 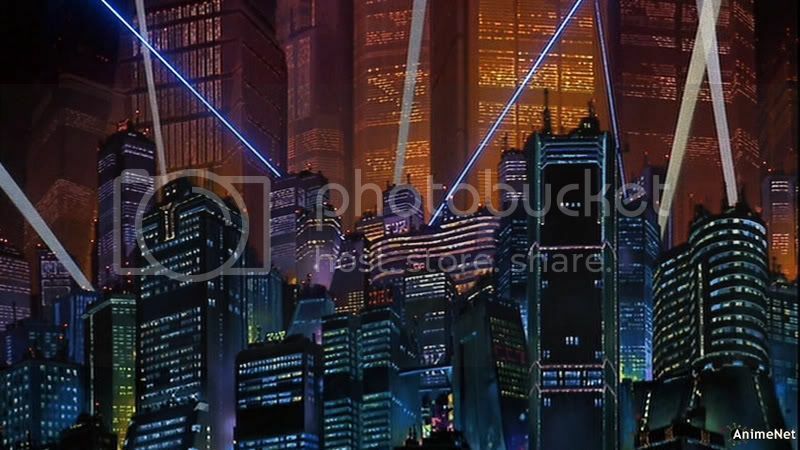 With burgeoning stars in the #2 ranked farm system reaching their potential Akira fans may see new faces make their way to Neo-Tokyo in the second half of the season. July 18, 2027 Neo-Tokyo, Japan Week 15: Five days of rest and 3 new faces in the clubhouse create an air of curious excitement. Can Neo-Tokyo continue their climb out of mediocrity and become a legitimate playoff contender? Or will they languish as the highly-touted newcomers slowly adjust to their roles? Those questions were answered quicker than expected. Game 1 opens against Duluth, to whom the Akira have lost 8 of 11 so far this year. After a disappointing close to the first half of the season the Akira are quick to make amends. The first 5 batters for NeTo reach base, with Tomás Martínez stroking a hit in his first PEBA AB and All-Star 3B Guillermo Justavo hammering his 22nd HR. All told, the Akira score 7 runs in the first inning on their way to a 15-5 road victory. Martinez also hits his first career HR in the ninth and Chuck Glass has 3 hits. 8 of 9 starters have multi hit games and 6 have multiple RBI. Game 2 has another impressive debut. When SP Young-keun 'Junior' Im goes down with an injury in the 1st inning José 'Slap' Fernández is thrust in to what is essentially an emergency start. And he comes through. Fernández goes 7.1 innings in relief, scattering 4 hits and does not allow a run in picking up his first PEBA win. C Héctor Rodríguez seals the 5-1 win with a 2 run HR as Neo-Tokyo takes the series 2-0. The road trip continues in Yuma. The Bulldozers best the Neo-Tokyo Akira 6-0 in Game 1 behind the 3-hit pitching of right-hander Ángelo Gil. The Yuma hurler had 5 strikeouts and 3 walks in going the distance. They rebound by scoring 5 late inning runs in Game 2 for a 5-1 win and Martínez and Nagai both go yard as they take Game 3 and the series behind Diaz' 7th win. A 4-1 week leaves them at 49-43 for the season, 9 GB of Shin Seiki and 2 games up in the 2nd wildcard spot. Next up: 4 games at Okinawa (57-35) and 3 vs Bakersfield (45-47). July 25, 2027 Neo-Tokyo, Japan Week 16: After jumping out of the gate in week 15 following the All Star break the Akira's fragile ego takes a hit in week 16. A 4 game sweep at the hands of division opponent Okinawa starts the week. The offense musters only 4 runs in the final 3 games, but José Fernández continues to prove he's ML ready with some impressive relief outings. Things do not improve vs Bakersfield, as NeTo drops 2 of 3 at home to finish a disappointing 1-6 week. Their 50-49 record leaves them in 3rd place 13 GB and drops them to 2 GB of a wild card spot. Next week: 3 vs Fargo (52-47) and 3 more at Duluth (51-48). August 1, 2027 Neo-Tokyo, Japan Week 17: Two important series this week as Akira face teams that are right ahead of them in the wildcard hunt. At home vs Fargo, Neo-Tokyo ride a fine outing from starter Javier Ferreira to a 4-2 victory in Game 1. Pat Miller, credited with the save, improves to 25 for 27 in save opportunities and Tomás Martínez, the 16 overall pick in the 2022 draft, chips in with a 2-run home run. Miller blows his 3rd save opportunity of the year in Game 2 however and NeTo falls 4-2 in 11 innings. He takes the loss in Game 3 as Fargo edges the Akira 4-3 and take the series 2-1. Off to face Duluth in another crucial series, Neo-Tokyo this time wins in extra frames 5-2, with José Fernández picking up his 2nd win with 3 strong innings in relief. Game 2 goes their way as they come from behind with 3 runs in the 9th, Yasuhiro Nagai with the clutch RBI. A 4-1 loss ends the week as they take the series 2-1. 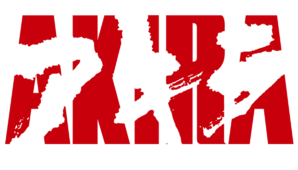 The Akira finish July with an 11-12 record for the month. A 3-3 week leaves them 53-52, 15 GB of Okinawa and 2 GB from the last wildcard spot. August 8, 2027 Neo-Tokyo, Japan Week 17: On the outside looking in, NeTo faces a tough 4 game series against perennial power Shin Seiki. A 1-0 win in Game 1 starts the series off in their favor and they take 3 of 4 from the Evas. The Akira go on to sweep Toyama for their first series sweep at home since May. A 6-1 week leaves them 59-53 on the year, 13 GB of division leading Okinawa and 1 GB of the final wildcard spot. August 15, 2027 Neo-Tokyo, Japan Week 18: With an opportunity to make hay against a team with a losing record, NT faces Reno for 6 consecutive games. They fall flat on the road however as the Zephyrs sweep them in Reno. Back home at Neo-Tokyo Grounds, the Akira take 2 of 3 to salvage a 2-4 week. Luigi Bright is on an uptick and his ERA has dropped below 4.00 for the first time since April. Brian Coleman's BA rises above .300 for the first time since May 25. The week ends with the Akira sitting at 61-57 on the year, 17 GB of the torrid Okinawa Shisa and remaining 1 GB of a wildcard spot. Next week: 7 road games vs Bakersfield (57-61) and Aurora (81-37). Neo-Tokyo faces the 2 teams with the best records in baseball for 10 out of 13 games when the Aurora series begins.